Are you looking to run away for a hassle-free break? 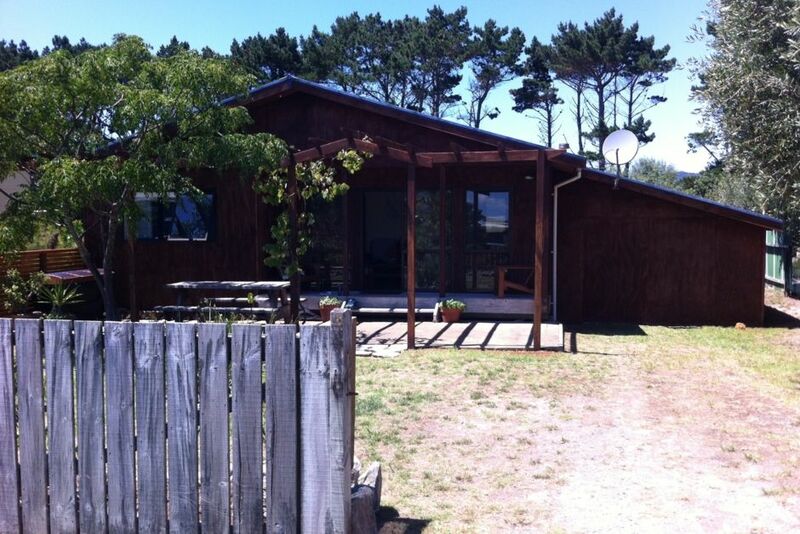 Want a quiet and central location from which to explore Great Barrier Island? The Sea Shanti is located only 10 minutes (walk) from Claris airport on a quiet dead end road that runs to the sea. Lined with traditional kiwi baches and flanked by farmland/DOC land this is a quiet place. It's a place for couples to retreat to. It's the perfect place to base your adventures from. Located only 10 mins from the island's largest shopping centre (airport, fuel station, health clinic, postal office, dairy, 2 x cafes, dive and fishing store, bottle shop, burger bar, radio station), it won't matter if you don't catch any fish or get home from tramping and can't be bothered cooking. Fully equipped and easy to live in, we have many returning guests because of the feeling this place leaves you with. It has a true bachy feel, but it hasn't got old beds and 3 forks. You'll find the place fully equipped with first aid kit, decent sized fridge, hot shower and every bed is comfortable. Centrally located on the island. A great base to explore the whole island from. Walk to the shops. We spent 3 nights here and fell in love with Great Barrier Island. This property is perfectly situated close to the airport and beach. The property has everything you will need for your stay and I would go back in a heartbeat. Well equipped kitchen with comfortable beds and great storage. Easy to find and so handy to shops, airport, beaches and great resturants. Glad there were screens on the windows. A straightforward little Bach that works well. A simple Bach with all the necessities for a comfortable stay. Very clean. Comfortable beds and good bed linen . Kitchen catered for all cooking needs. Pleasant walk to Kaitoke Beach at the end of the quiet street. Also easy walk to the airport, Fat Puku for coffee in the morning and pizza in the evening, burger bar , general store and bottle store. Central location to drive further afield. Information on the island well provided for. We would be very happy to return. Oh thank you Rosemary! It was such a pleasure to have you stay!